Designed by Carolyn Kinder International, the Morvoren Blue-Grey Oval Mirror features scalloped metal finished in mottled, blue-grey accented with lightly antiqued, silver champagne details. Mirror is beveled. May be hung horizontal or vertical. Available to trade professionals at Uttermost.com. 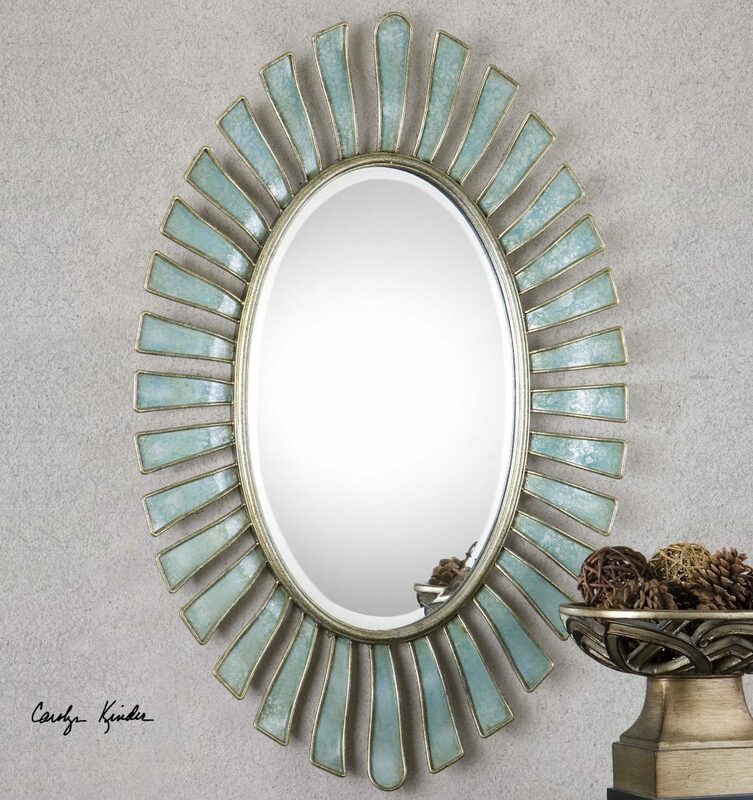 For retail purchase Google search term “Carolyn Kinder Morvoren Blue-Grey Oval Mirror”.